I’ve always found it odd that some music fans don’t enjoy seeing music DVDs and videos. Personally I find it vastly preferable to watching the crap dished out on telly most nights of the week. Films I have seen recently include two documentaries on stars of the 1970s New York punk scene, New York Doll and End of the Century. Both recommended if you can remember the period. On top of that, I’m half way through watching for the second time the monumental Ken Burns series called simply Jazz, which runs to 19 hours over seven episodes. It’s not to everybody’s taste. Many people who know far about jazz than I ever will - especially on the left - have been highly critical. But in my opinion, it constitutes superb documentary filmmaking. It’s not just about the music, it’s about the social history of the twentieth century USA, offering many insights into both race and class. It is as much education as entertainment. 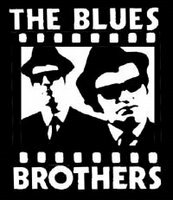 By contrast, you wouldn’t argue that my favourite comedy of all time - John Landis’s 1980 flick The Blues Brothers - is anything but entertainment, pure and simple. John Belushi plays ‘Joliet Jake’ Blues, just out from prison, who puts together his old R&B band to raise the money to save the Catholic orphanage where he and brother Elwood Blues (Dan Aykroyd) were raised. The gags keep on coming - ‘we have both kinds of music here - country and western!’ - and there are appearances from James Brown, Cab Calloway, Ray Charles, Aretha Franklin, Steve Cropper and Duck Dunn of Booker T and the MGs fame, and … er … Twiggy. And the Bros get to smash up a Nazi rally while generally laying waste to much of Chicago. Bliss. Over to you now. Your nominations for the best music on film in the comments box, please.